Jaipur, Rajasthan, India: This month saw India’s inaugural ‘Festival of Education’ take place in Jaipur, on the 5th and 6th of August 2017, where a wide range of outcomes and partnerships were announced by The Government of Rajasthan. The festival, organised as a result of the collaboration between the UAE based GEMS Education, which is the world’s largest private K-12 school education provider, as well as the Government of Rajasthan, was incepted to celebrate the future of education. The main remit of the event was to facilitate knowledge exchange, exploring a new world of possibilities for Education in Rajasthan and the “New India” with clearly outlined actions and solutions. 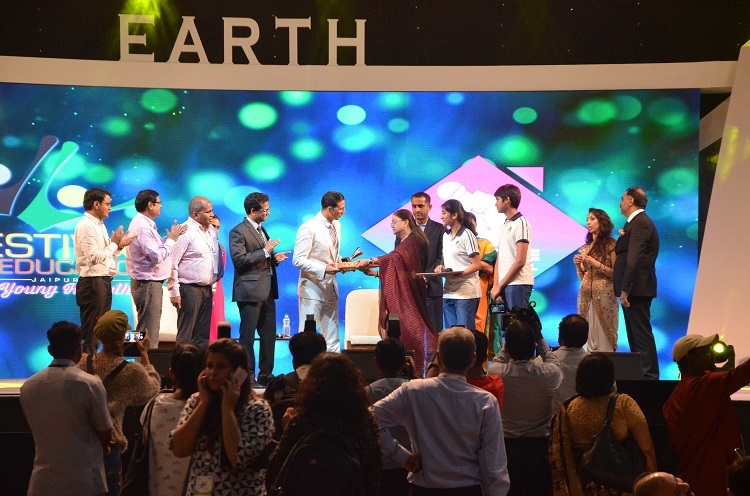 An unprecedented event, the festival saw over 100,000 global innovators, academicians, faculty, change-makers, vice chancellors, educationalists, teachers, students, parents, scientists, and policy makers under one roof, united by the same goal - to give shape to the future of education through discourse, discussion and debate. The festival aimed at creating a lasting impact and cementing Rajasthan’s status as a Knowledge Hub and India as an Intellectual Capital. The award-winning international business and communications agency Sterling Media managed the international communications for the event to spotlight the strides Rajasthan is making in ensuring a quality education for all its children. Established in 1995 to represent countries, corporates, consumer brands, celebrities, charities, governments and thought-leaders, the company has a specialist division to project India’s innovators across various sectors including business, politics, culture and education. During the second day of the Festival, prominent London-based business and communications strategist Natasha Mudhar, CEO of Sterling Media, interviewed the Rt. Honourable Chief Minister of Rajasthan Vasundhara Raje as part of the expert panel sessions. Natasha Mudhar is recognised for spearheading a number of compelling campaigns including the India strategy for the United Nations’ Global Goals to end global poverty by 2030. Natasha was a key member of the core team to launch India’s largest public health campaign to eliminate filaria and empowering girls and women all over the world with the viral Spice Girls video remake “#WhatIReallyReallyWant” featuring stars such as Jacqueline Fernandez. Natasha Mudhar interacted with the Chief Minister in a session titled ‘Good Hygiene: The Greatest Gift Every Girl Should Give Herself’. The Chief Minster shared insights on some of the most critical issues surrounding her work in promoting gender equality in the State of Rajasthan, the various Water, Sanitation and Hygiene (WASH) initiatives her government has launched in the State to tackle taboo subjects such as menstrual hygiene and the role that schools can play to achieve this. Speaking at the session, Rt. Honourable Chief Minister Vasundhara Raje said: “Schools are a great leveler when it comes to gender. When together at school, girls and boys compete as equals.” The Chief Minister highlighted how by ensuring equity, she is taking an initiative to empower girls and women to overcome feudal mindsets. Amongst the initiatives unveiled at the Festival of Education was the announcement of a partnership between the Department of Higher & Technical Education with the British Council, represented by Alan Gemmell (Director, British Council, India), to develop Rajasthan as a hub for Higher Education, with assistance on spoken English skills across the state. Member of UK's House of Lords and Deputy Chair of British Council Baroness Usha Prashar commended Rt Hon. Vasundhara Raje for her vision and said that with the steps she undertook, Rajasthan would soon be an education hub. Present and future generations needed skilling along with education and the same was being offered in Rajasthan. Other outcomes included the announcement from Rajasthan’s Department of Art & Culture of a partnership with His Highness Sheikh Nahayan Mabarak Al Nahayan, Minister of Culture and Knowledge Development, UAE to create an exchange program and partnership between the Government of Rajasthan and the Culture & Knowledge Ministry of UAE, and assurance from Bollywood megastar Akshay Kumar to assist Panchayati Raj & Rural Development's efforts in sanitation, with the aim of amplifying the scope and reiterating the importance of achieving better hygiene and an open defecation free India. His Highness Sheikh Nahayan Mabarak Al Nahayan Minister of Culture and Knowledge Development, UAE was the Guest of Honour and the keynote speaker at the Festival of Education, delivering a passionate Keynote address. He highlighted that every child should have the right to an education, citing the key role it plays in the personal and social development of any human being, enabling children to acquire knowledge and skills, to help define their future. Bollywood megastar Akshay Kumar, internationally recognized for enabling passionate tailwind for notable social causes, extended his support for the Festival of Education. 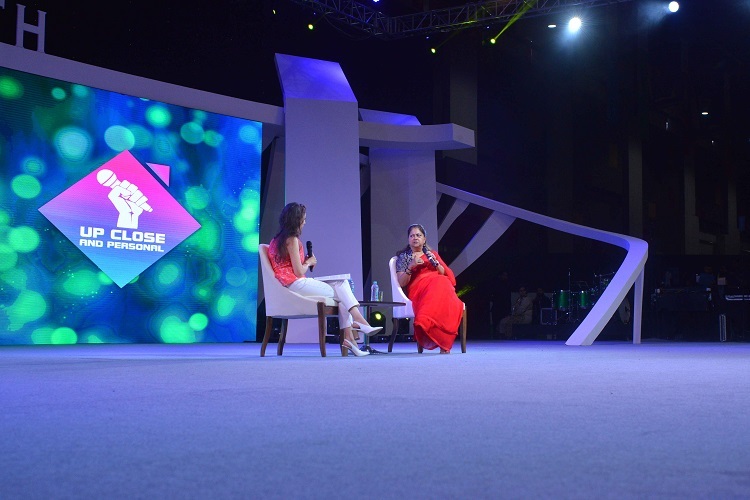 Akshay Kumar participated in a panel session with Amreesh Chandra, Group President, GEMS Education, India where he addressed various questions, touching upon the subject of socially conscious film making, including his decision to embrace the world’s first feature film on open-defecation ‘Toilet: Ek Prem Katha’. This month saw India's inaugural 'Festival of Education' take place in Jaipur, on the 5th and 6th of August 2017, where a wide range of outcomes and partnerships were announced by The Government of Rajasthan.